ABOUT THE ORIGINAL BOOK Meditation is a valuable learning process to combat the chaos and stress of day to day life. This is because the lifestyle of contemporary society keeps us suspended in a constant state of anxiety, that leads us to suffer serious consequences for our overall health. 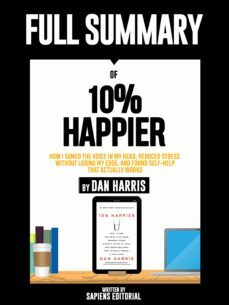 10% HAPPIER shows how it is scientifically proven that meditation is an ancient art that will help us face all kinds of daily chaos.